Recent advances in the automation of metabolic model reconstruction have led to the availability of draft-quality metabolic models (predicted reaction complements) for multiple bacterial species. These reaction complements can be considered as trait representations and can be used for ancestral state reconstruction, to infer the most likely metabolic complements of common ancestors of all bacteria with generated metabolic models. We present here an ancestral state reconstruction for 141 extant bacteria and analyse the reaction gains and losses for these bacteria with respect to their lifestyles and pathogenic nature. A simulated annealing approach is used to look at coordinated metabolic gains and losses in two bacteria. The main losses of Onion yellows phytoplasma OY-M, an obligate intracellular pathogen, are shown (as expected) to be in cell wall biosynthesis. The metabolic gains made by Clostridium difficile CD196 in adapting to its current habitat in the human colon is also analysed. 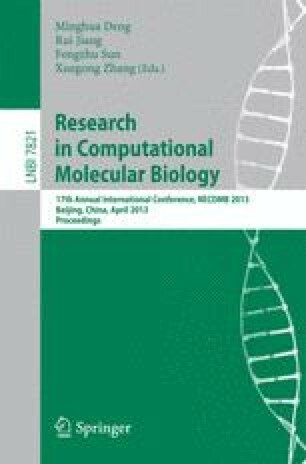 Our analysis shows that the capability to utilize N-Acetyl-neuraminic acid as a carbon source has been gained, rather than having been present in the Clostridium ancestor, as has the capability to synthesise phthiocerol dimycocerosate which could potentially aid the evasion of the host immune response. We have shown that the availability of large numbers of metabolic models, along with conventional approaches, has enabled a systematic method to analyse metabolic evolution in the bacterial domain.